Be the first to share your favorite memory, photo or story of Pearl. This memorial page is dedicated for family, friends and future generations to celebrate the life of their loved one. 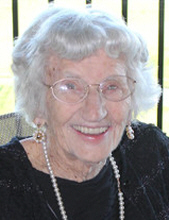 Pearl Marie Pichola, 92, formerly of Williamsport, PA died on March 23, 2019 in La Plata, MD. Pearl was a devout Catholic; a member of St. Ann's Roman Catholic Church for 43 years and Holy Ghost Catholic Church for 11 years. She loved the Phillies and spending time with her family. Pearl is preceded in death by her parents, Michael and Mary Worhach; husband of 47 years, Michael Pichola, Sr.; 3 brothers and 2 sisters. She is survived by her sons, Michael Pichola, Jr. (Pamela) of Swan Point, MD and Thomas Pichola (Mary) of Lafayette Hill, PA; her sister, Mary; grandchildren, Lesley Giancoli (Thomas), Christopher Pichola, Kate Ineson (Chris), John Pichola (Samrina), Daniel Pichola, and Timothy Pichola; and great-grandchildren, Dylan Giancoli, Emma Giancoli, and William Ineson. A viewing for Pearl will be held at Holy Ghost Catholic Church in Issue, MD on April 1, 2019 at 11AM until her Mass of Christian Burial at 12PM. Interment and Graveside Services will be held 1:00 PM Wednesday April 3, 2019 at All Saints Cemetery, Elysburg, PA.
Memorial contributions in Pearl's name may be made to Sagepoint Memory Care (10200 La Plata Rd., La Plata, MD 20646). To send flowers or a remembrance gift to the family of Pearl M. Pichola, please visit our Tribute Store. "Email Address" would like to share the life celebration of Pearl M. Pichola. Click on the "link" to go to share a favorite memory or leave a condolence message for the family.